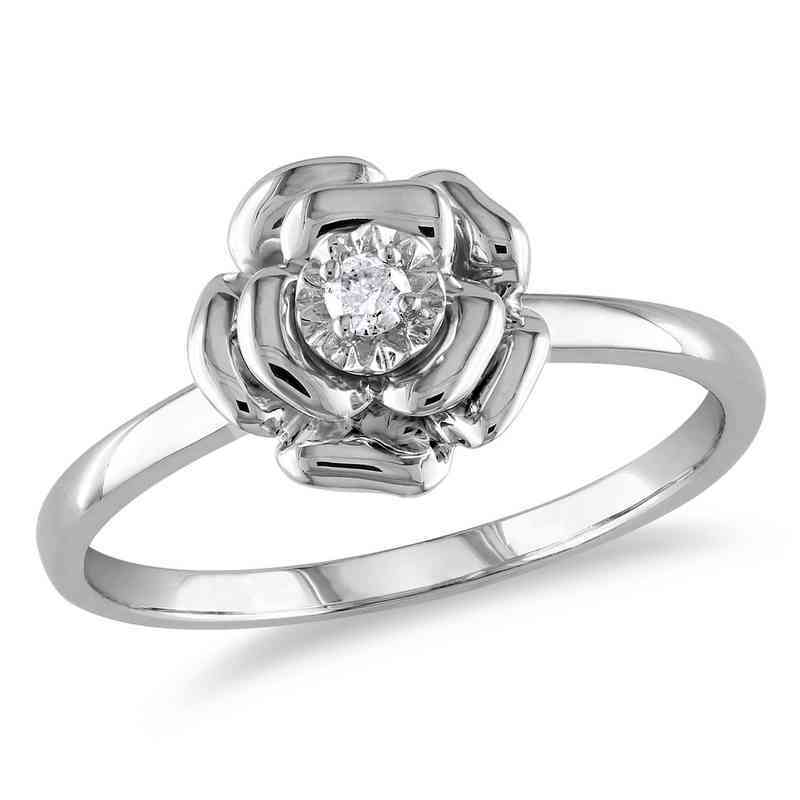 This stylish floral design is beautifully accented with a single round-cut diamond in its center. The ring is crafted in sterling silver and enhanced with a high polish finish. Manufacturer direct from a trusted supplier.